Dianna Daoheung left a career in advertising because she wanted to work with her hands. She decided to challenge herself by enrolling in a culinary school’s pastry program, where she found she loved the science behind bread baking. 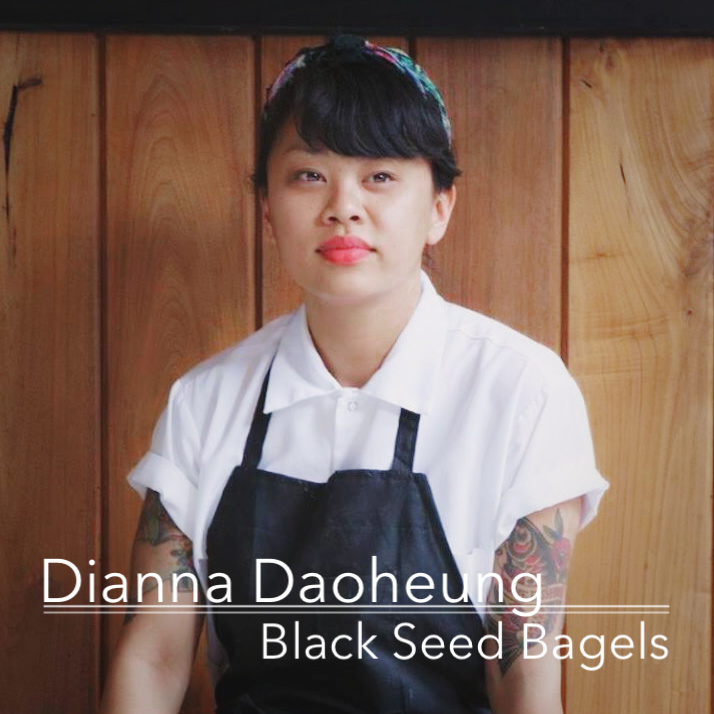 She took a job at the newly-opened Mile End Deli in Brooklyn, where she learned the fundamentals of Jewish cuisine and when Mile End’s owners decided to open a bagel shop, Dianna was the natural choice to run it. Since then, she’s overseen its significant expansion, become a partner in the business, and been recognized by the James Beard Foundation (twice!) as a nominee for Best Baker. Join us for a fun, honest conversation about how she balances the creative and commercial aspects of running NYC’s only Montreal-inspired bagel bakery. bagels Baking Black Seed Bagels Dianna Daoheung Ethan Frisch James Beard Foundation Jenny Dorsey Jewish cuisine Mile End Deli Montreal bagels New York bagels Why Food?